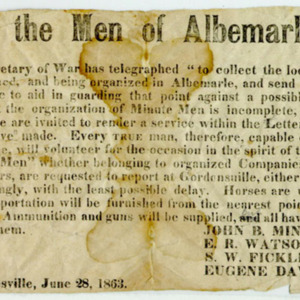 University of Virginia Library Online Exhibits | Broadside, "To the Men of Albemarle." 1863 June 28. Broadside, "To the Men of Albemarle." 1863 June 28. 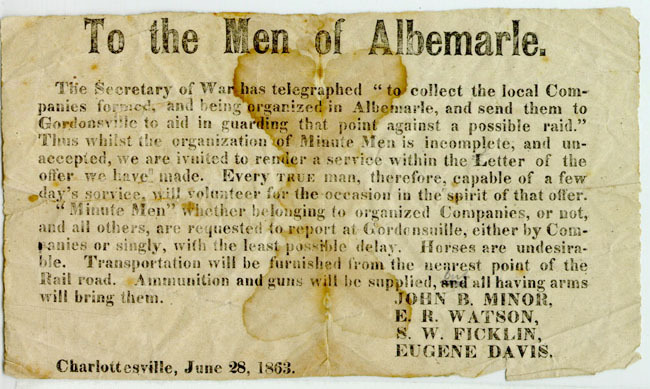 “Broadside, "To the Men of Albemarle." 1863 June 28. ,” University of Virginia Library Online Exhibits, accessed April 25, 2019, https://explore.lib.virginia.edu/items/show/2240.